Famed filmmaker, actor, and comedian Beat Takeshi is joining the cast of the Hollywood Ghost in the Shell movie. You know, the one that is starring Scarlett Johansson and some other white people. But! Finally, the filmmakers have signed a real Japanese actor to join the production—and a great one at that. 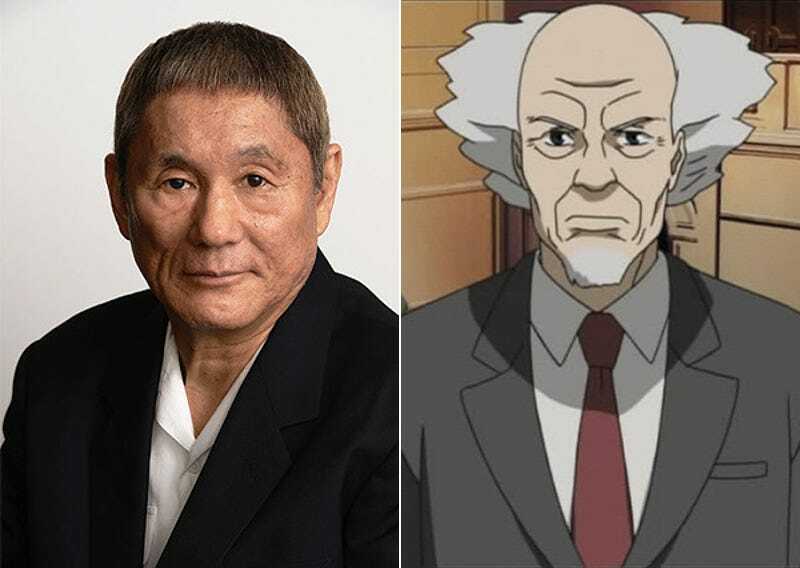 Oricon and Cinema Today report that Beat Takeshi will play the chief of Public Security Section 9, Daisuke Aramaki. “It’s not that I’m a fan of anime or manga,” Takeshi is quoted as saying (which, hey, is okay!). The live-action Hollywood Ghost in the Shell is slated for a 2017 release. This is Beat Takeshi’s first Hollywood film since 1995's Johnny Mnemonic.